St. Anne’s-Belfield’s Dalton Taylor knew exactly who to credit when the senior guard picked up his first career triple double Friday night in a 67-62 win over Fork Union. Taylor posted 11 points, 10 rebounds and a school record 14 assists Friday as STAB buried 12 3-pointers as a team. Justin Taylor led that assault with 28 points and six boards including five 3-pointers and Mesiah Woods was locked in too with 22 points and four rebounds. 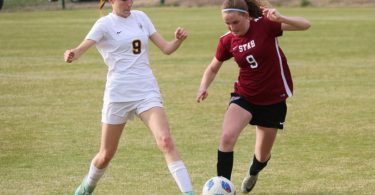 “The guys just started making shots and got the stops when we needed to and the scoreboard reflected what we wanted,” said STAB coach Damin Altizer. But despite the gaudy statistics from the Saints, they had to fight tooth and nail to pick up the win. Fork Union climbed out of an early hole to take a brief 46-45 lead midway through the third quarter, with a Caleb Moss dunk and his and one providing the surge the Blue Devils needed. Moss’ toughness and versatility was evident throughout as the 6-foot-6 senior finished with 26 points including four 3-pointers. He was exactly the sparkplug the Blue Devils needed to get back into the game. Larry Elder scored 10 points for Fork Union, James Pua’auli-Pelham had nine points while Antiono Pua’auli-Pelham chipped in eight points for the Blue Devils. 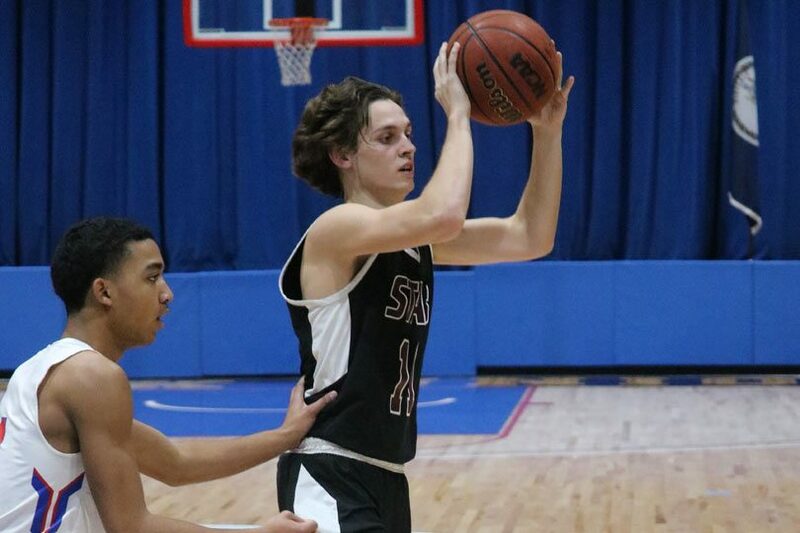 But as quickly as Fork Union, went up, they were back down five by the end of the third quarter, with Dalton Taylor burying a 3-pointer at the buzzer to give the Saints a lift going into the final frame. It helped too that Justin Taylor had a big moment in the first half that got him on track for a huge outing. Nic Reese drew a lot of attention from the Blue Devils and finished with just two points, but his off-ball worked seemed to help open things up for the rest of the Saints. Woods hit four 3-pointers, but along with Dalton Taylor, he managed to get into the lane repeatedly to break down the Fork Union defense. STAB is off to a 1-1 start in the Prep League after a narrow loss to Collegiate last week while the Blue Devils slip to 0-2 in the league after falling to Trinity Episcopal at home earlier in the week thanks to a monster game from star Henry Coleman. There are no easy nights in the Prep and both teams face another challenge Tuesday as the Saints travel to Woodberry Forest and the Blue Devils look to take on St. Christopher’s on the road.